Cheap flights to Iceland: Reykjavik for only €168! WOW Air now offers cheap flights to Iceland from Germany in short promotion. 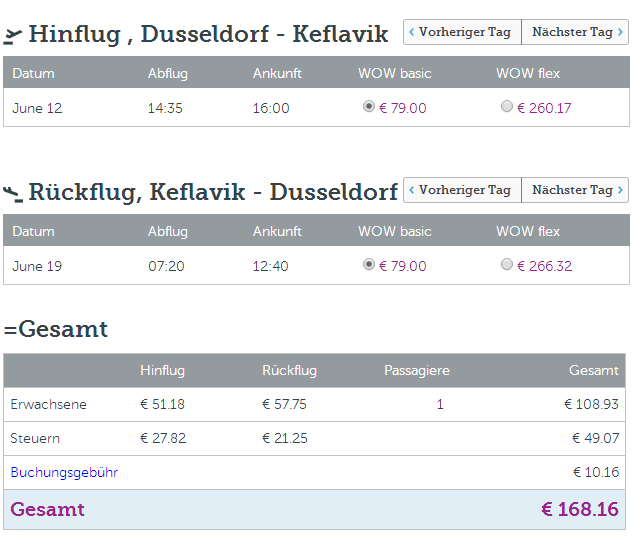 Return flights from Stuttgart or Dusseldorf to Reykjavik are available for only €168! This price includes 10 kg luggage, if you want to buy 20 kg check in luggage it’s €23 extra for each way. This promotion runs only until 28.4.2014 and travel dates are from 22.5 till 29.6.2014. Alternatively, you can also fly from London for 138 GBP for return flight. « Cheap flights to Brazil from Prague for only €459!